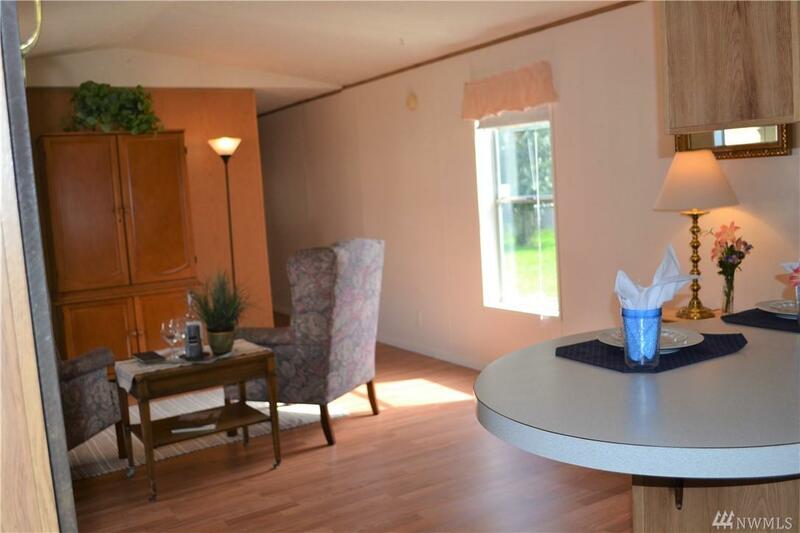 This wonderful manufactured home is desirable and peaceful with large lawns on either side in a very well-kept park! 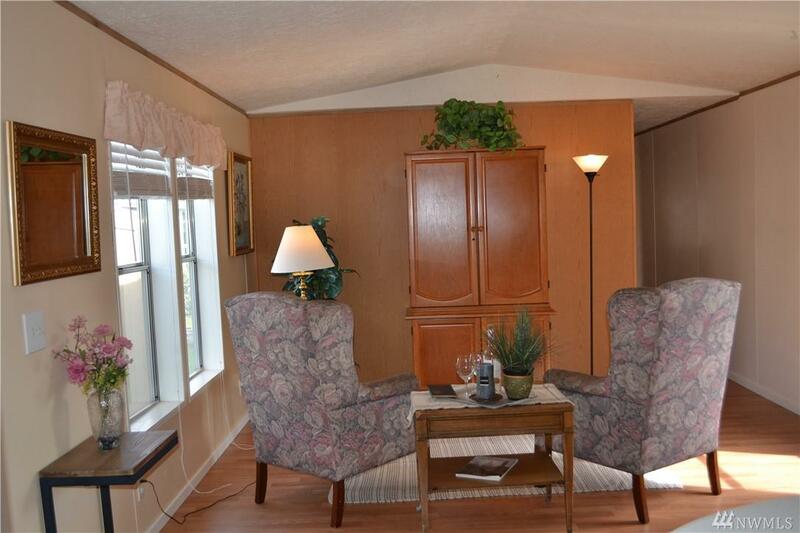 With new laminate floors and vaulted ceilings, it is clean, spacious and inviting. 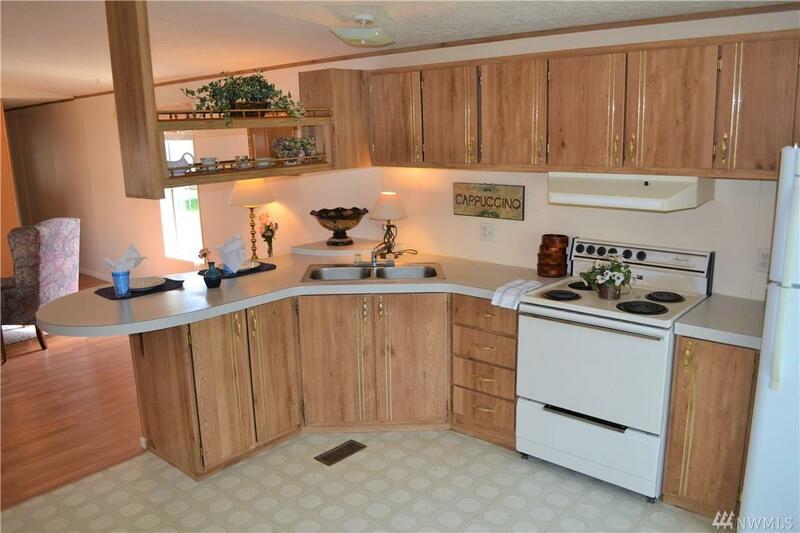 The large kitchen is a delight with plenty of room for your kitchen table! Recently replaced hot water tank and skirting. 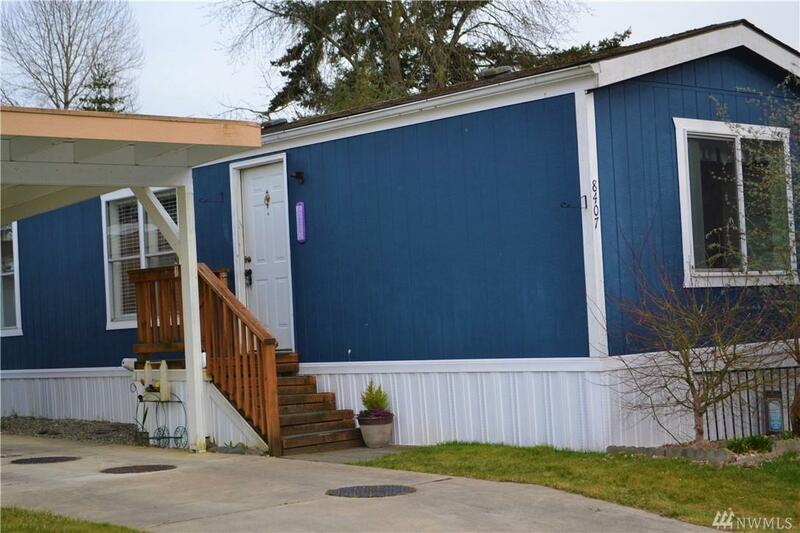 This quiet 55+ park is close to town and freeways, but feels like country. Raised garden beds are ready to plant, and a fenced area protects your pet! Walk on nearby paved trail.